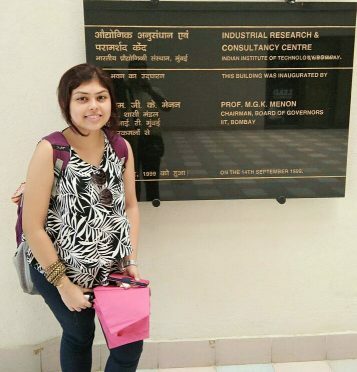 About the Author: Ankita Baruah, a student of Indian Institute of Information Technology, Guwahati, talks about her internship experience at IIT Bombay and how she loved every moment of her journey. While studying for more than 70 hrs every week, swamped with assignments like every other engineering student, I was pleasantly surprised to learn that I had won a scholarship! I had been selected under the Ishan Vikas Summer Internship Scheme, a merit based, comprehensive, and highly competitive program for the government-funded technical colleges of the north-eastern states of India. All expenses of travel, food, and accommodation are borne by the Indian government. The application procedure is simple. As you have to prove that you are studying in the Northeast, in my case Guwahati, you need to apply through your college supervisors. If you are among the top 10 students of your class, your supervisor forwards your name to IIT Guwahati. Following this, based on all the nominations sent to them, IIT Guwahati does the final selection. I was thrilled when I came to know that I was selected for the scholarship and could pursue my internship at IIT Bombay. At first, I was apprehensive about how the city of dreams would treat me, a nerd from the hills. I reached the Powai campus on 15th May and was swept away by the immense visual appeal of the huge campus. Surrounded by a green cover of hills, trees, and lakes, the whole area was a collage of funky modern architecture, huge open spaces, and the old buildings of rich heritage. The atmosphere was energetic and with the young and spirited crowd, one could sense the creativity and enthusiasm all around. My mentor for the internship was Prof. Madhu N. Belur from the electrical engineering department. He was very cordial and extremely helpful throughout my internship. I was taken on a tour of the labs and was informed of the various projects going on at IIT Bombay, such as a Python-based initiative of making textbooks and solution guides available in digital format throughout India for easy and free access to students, a collection of spoken tutorials by Prof. Kannan Moudgalya aimed at teaching any computer language or software via voice tutorials in all major Indian languages, some important open-source projects for Indian Railways, etc. I was all pumped-up and began my internship under my project guide, Madhumita Date ma’am, from Wadhwani Electronics Laboratory (WEL) in the domain of microprocessors. I was advised to work on a signal filtering application on an AT89C5131 microcontroller, based on 8051 architecture, as such kind of work had not been done at WEL before. The practical requirements for such an application have risen in today’s world. As embedded applications are increasingly handling voice, video, and other high-speed data, the need for filtering in transmission and reception of digital signals is now a major challenge for inexpensive, low-power microcontrollers (MCUs). MCU manufacturers have added digital signal processing functions to expand their capabilities, creating a class of digital signal controllers (DSCs). My project had to illustrate at first, the construction of such a low-cost MCU that can act as a DSC. Then I had to write the software code for a low pass filter application and conduct a demonstration to prove that it could be supported by the MCU, and could be used for signal filtering and reconstruction. I must say that I was a tad bit disappointed, at first, as I did not have a lot of help in figuring out the technicalities of my work. However, later I realised that this was mainly because IIT-B is extremely insistent on students developing their own original and innovative projects. I had all the help regarding the information of the required hardware and software, but I was solely responsible for the actual construction of the application from scratch. It was nerve wracking initially, and I practically lived in the lab for the first two weeks, trying to develop my line of thought about how to proceed. In the end, however, it was all worth it as I had gathered immense knowledge about each and every possible nuance of my entire project domain. Today, I can say with confidence that I would never have learned so much or that I would never have believed that I was even capable of completing a major research project all on my own if my guide and the lab instructors hadn’t pushed me towards it. IIT B gave me the biggest gift of my research life in those two months: self-confidence and the ability to apply theoretical knowledge in practical work. The cherry on the cake was attending a number of seminars of eminent speakers including professors from foreign universities. These talks broadened my horizons as it offered me a glimpse of the research going on in various leading universities around the world. I was also lucky to attend a few amazing workshops like ‘Spoken Tutorial on LATEX’ and ‘Construction of Microcontroller Boards: Push Through Components and Surface Mount Display (SMD) and their integration with Keil and Atmel Software’. These workshops got me acquainted with the academic life at IIT B. The hostel life was fun too. I stayed at recently built Hostel 15 C which had every facility a student could hope for. I lived with people who had big dreams and were clear about how they were going to achieve them. Like Steve Jobs once said, “The only way to do great work is to believe that you are doing great work.” At IIT B, people believe in the greatness of science and its impact on making lives better. As I sit on my desk, back at home, writing this article and reliving those days, I wish I could do it all again, just to get that overwhelming feeling of knowledge and independence that is unique to IIT B. Looking to enter the realm of scientific research? Apply to these cool science internships and start experimenting.